Get ready for a hotel stay that you’ll never forget. 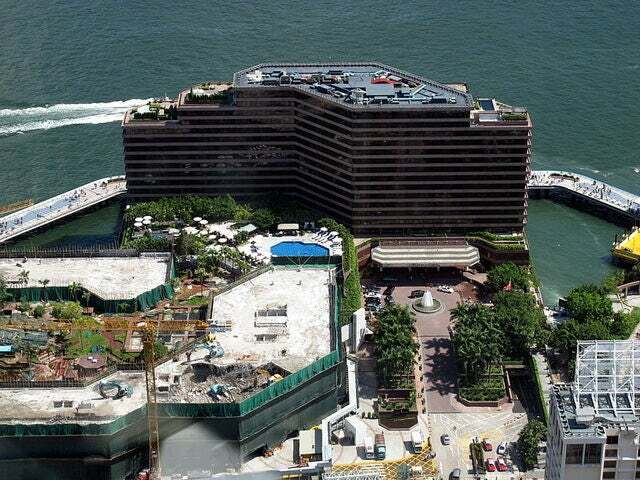 If you only want to get the best views of the dramatic Victoria Harbor during your holiday trip to Hong Kong, then the HK$6,800-suite of the InterContinental Hong Kong Hotel is just what you need to get marvelous vistas of this famous travel attraction. Learn more about this lavish hotel in a quick review written on Frommer’s, and see if you’d like to book one of its 503 well-appointed bedrooms. Great views are also trademarks of its guest rooms, 70% of which command sweeping vistas of the harbor (the remaining -- and less expensive but larger -- rooms face the outdoor swimming pool and landscaped sun terrace). Other notable features here are the highly rated restaurants; upscale shopping arcade; state-of-the-art spa with outdoor cabanas and healing treatments (like the popular Jetlag Relief); free tai chi and yoga classes; contemporary rooms with huge walk-in closets adjoining bathrooms (you can shower and get dressed without disturbing another guest in the room); and Wi-Fi that enables guests to access the Internet even from poolside. So contact us now to get started with your next vacation in Hong Kong!